Davies plain is a great drive, varying terrain and landscape. Only hesitate to rate it as because of its location and accessibility. The first campsite is Charlie Creek Camping area, with several open green campsites and fireplaces. And fresh water flowing in Charlie Creek. 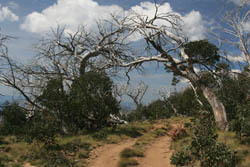 From there is semi open plains and snow gums as you reach the highest point on the track. About 7km further on after more semi open landscape, where we saw no brumbies which was a shame (reportedly they are regularly seen there), you reach the Davies plain camping area and Hut. After that there are a few steep descents as you drop into some very nice open woodland and long unburned forest, and then get the first views toward Kosciuszko, before finally crossing the Murray and arriving at Tom Groggin.